We are so excited to be featured on BeautyAndTheBoutique.com! You can now shop worldwide HERE. If you have a favourite store in your area that you would like to see selling Style Stick® please let us know and we would be happy to follow up with them. Feel free to call us at: 1-888-765-5665, email keith@thestylestick.com. 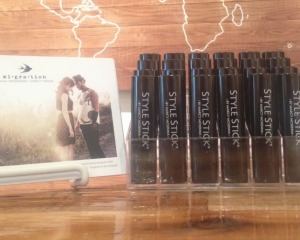 Thank you for your interest in the Style Stick®!